The place-name Mastergeehy (translated from Maighistir Gaoithe), is taken to mean ‘master of the wind’ by the Irish Place-Names Commission. 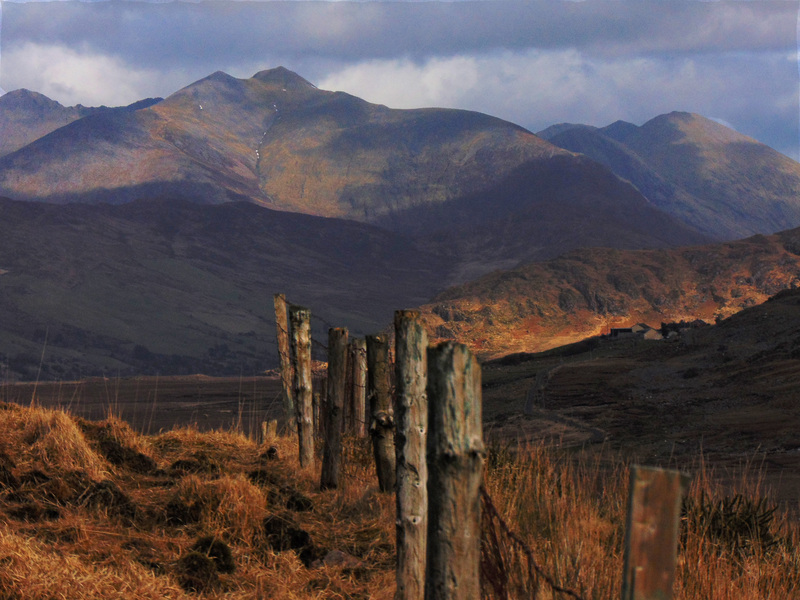 Gaelic place-names in Ireland very frequently refer to the surrounding topography, and so such an abstract place-name is unusual. 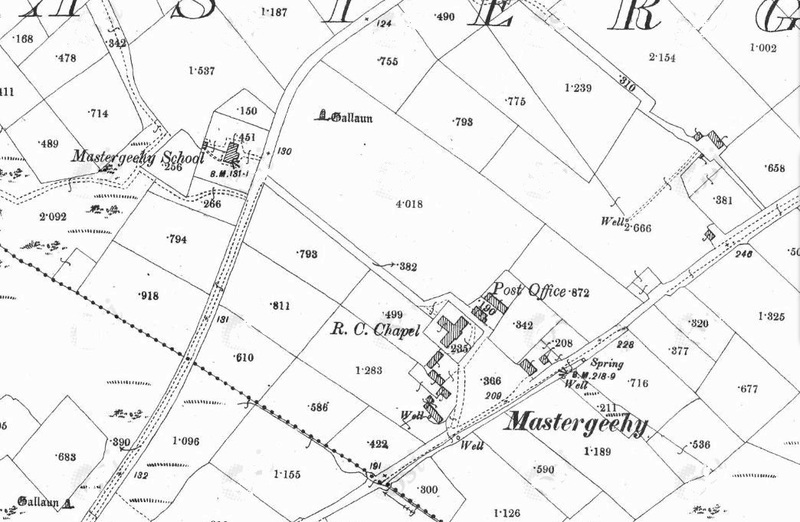 Could it be that the term ‘Maighistir‘ has been derived from ‘Maigh‘ meaning ‘flat place, or plain’, and that Mastergeehy means ‘the flat windy place’, referring to the flat lowlands adjacent to the meandering River Inny which flows through the townland? The First Edition Ordnance Survey sheet for the area shows a school house on this spot in the late 1830s, though the present school house comprises a detached five-bay single-storey building, built c.1880. It includes a single-bay, single-storey, lean-to projecting porch to the centre. The later school house is depicted in the OS 25 inch to 1 mile sheet from c.1900 (above). It has a pitched slate roof with rendered chimney-stacks, cement copings to gables, cast-iron guttering, hopper and downpipe. The walls are of a rendered rubble stone construction with sandstone projecting eaves. 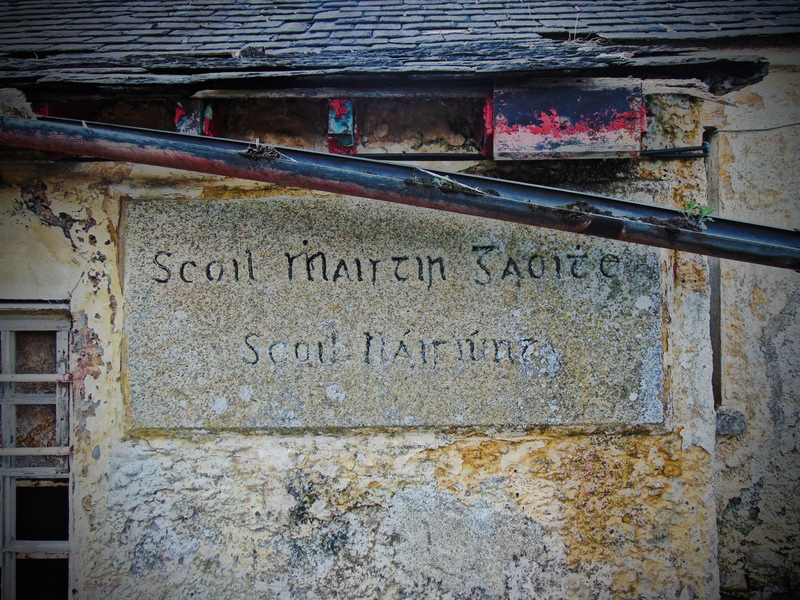 The carved granite plaque on the entrance porch reads “Scoil Maistir Gaoite/Scoil Naisiunta“. 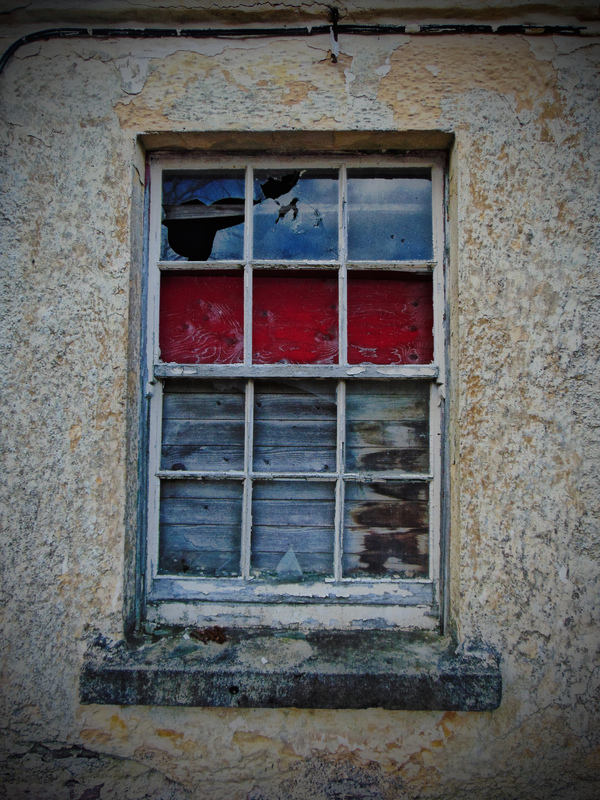 The beautiful timber six-over-six pane sliding sash windows with limestone sills still survive – internally much of the woodwork and shuttering remains intact. It is a single classroom school house. Internally, the fireplaces at both gables have been blocked up. It appears that after going out of use a school house, the building was used to house a tiny basketball court, with hoops and backboards at each internal gable. It is difficult to imagine the tranquility of this location being disturbed by the outside world, but this was the case one winter in 1941 when on the 26th of December, a Luftwaffe Junkers Ju 88 D was forced to crash-land on the valley floor because of engine trouble. 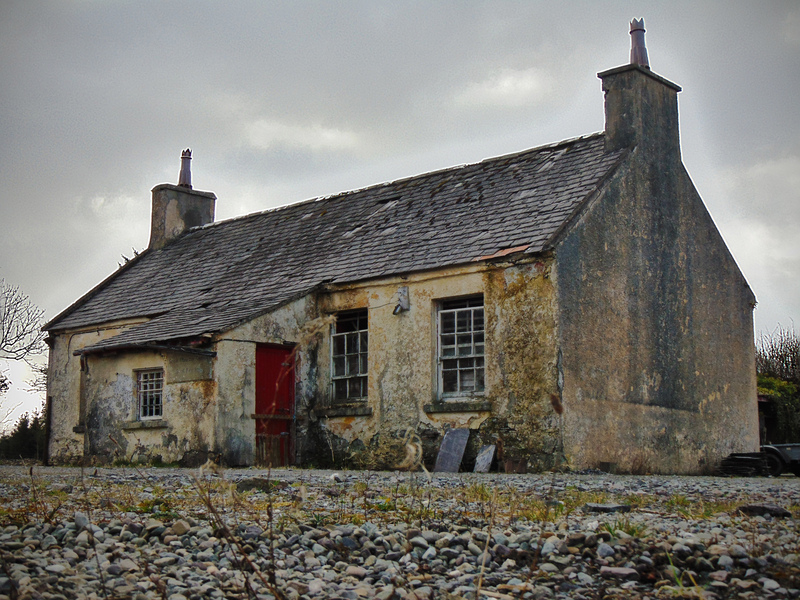 Such happenings were undoubtedly the subject of much discussion when the school children of Mastergeehy returned to their tiny classroom after the Christmas break in 1942. 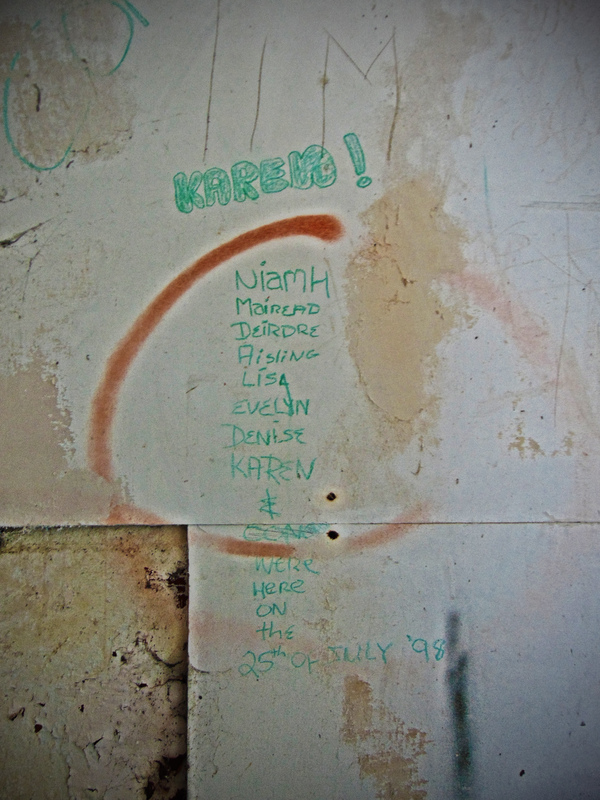 Is there anyone still living in the area that remembers the time when the winds that have given Mastergeehy its name, brought this unexpected surprise?